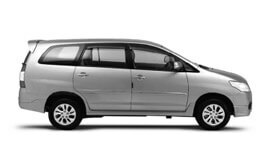 At My Taxi India, we provide you with best budgeted deals in Bangalore / Bangaluru. The services are available online at our official portal. All you need to do is visit the portal and look for cabs hire services in the city. You my even go for one of our economical packages available for corporate, business, and leisure tours. With us, family tours are enjoyable and helps you develop memories to cherish for a lifetime. Our dedicated team of professional chauffeurs hold many years of experience and expertise. Their main aim is to serve customers and fulfil their specific demands. For information on special packages, reach us online, visit our branch office or write to us on our website. We will be more than happy to serve you. The city of Bangalore / Bangaluru enjoys a pleasant weather throughout the year. April is the warmest month in Bangalore whereas January is the coldest. Bangalore has a very dry tropical savanna climate. The summer in Bangalore is cold and residents use blankets at night during this season. Consequently the city is known as 'the Air-conditioned city' of India. Presently, the population of Bangaluru is 10,178,146. Owing to the large number of information technology companies located in the city, Bangalore is also referred to as India's silicon city. It has also been ranked as the country's top business destination in terms of basic standard of living, infrastructure, city culture, and human capital. Bengaluru is also known as the aviation monopoly capital of India and accounts for 65 per cent of India’s aerospace business. The city is also witnessing rapid growth of biotechnology. Bangalore accounts for 70 per cent of all rose exports from India. Some of the best tourist places of the city include lakes, Brigade Road, Commercial Street, Siddaganga Mutt, Lal Bagh, Tipu Sultan Palace, Cubbon Park, Vidhana Soudha, Bangalore Palace, Innovative Film City, Ulsoor Lake, Jumma Masjid, Bannerghatta National Park, Bugle Rock, and many more.